They are the unsung heroes of our world, quietly going about their business of pollinating plants, barely noticed by many, yet at the same time critical to our planet’s survival. We call them the pollinators – the bees, beetles, butterflies, wasps, moths, bats and hummingbirds – organisms that carry a plant’s pollen grains from one part of the plant (the anther) to another (the pistil) to assist in its reproduction process. Yet despite their significant role in agriculture and nature, worldwide evidence show pollinator numbers are plunging. This is all the more reason to take on board the project to create your very own backyard pollinator garden – one that will provide essential habitat for these indispensable insects and birds. And fortunately for those of us who may not be as green-thumbed as others, this is a fairly simple task which can be done in any backyard, regardless of size. To start off, consider designing a garden which phases through a continuing cycle of blooming plants from spring to autumn. This will ensure that the garden can supply nectar and pollen for a variety of pollinators with a variety of foraging habits and flower preferences. When it’s time to decide on which flowers to grow, choose native plants which are better adapted to their region and better able to provide for pollinator’s needs than non-native plants. And remember that flowers sporting bright colours, especially yellow, blue, red, and violet are especially alluring to pollinators. 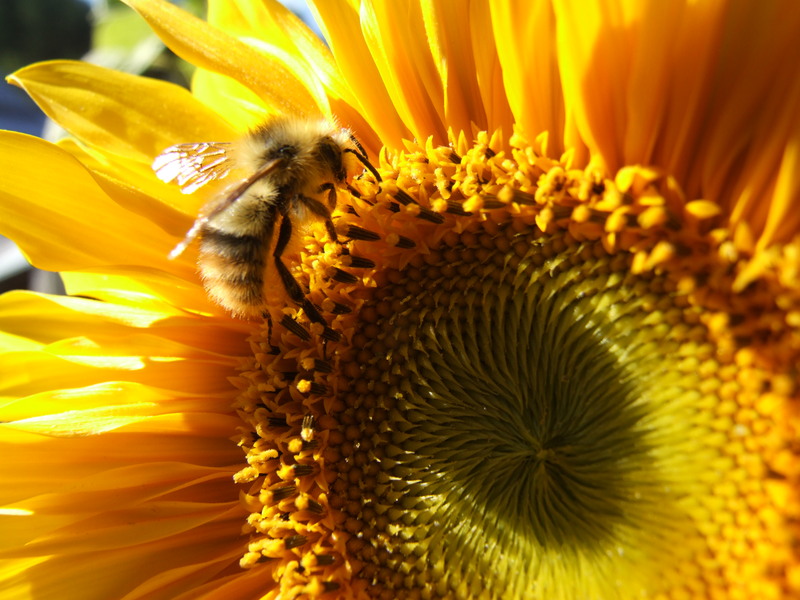 There are other vital aspects to a pollinator garden besides the flowers. Some pollinating insects like to nest in the ground so it is a good idea to preserve open patches of undisturbed ground for these critters. Dead wood is often home for wasps, bees, ants and beetles, so another way to encourage the nesting of pollinators is to retain dead tree branches and logs. Water is essential to all life, so add water to the mix by hanging a small container of water out in the open or keep a bird bath nearby and you might be surprised to see butterflies gathering and sipping the fluid. Your garden should aim to be pesticide-free – pesticides can be deadly to pollinators, who alight on the sprayed plants and ingest tainted nectar or pollen. The key element to pollinating success is adjusting our society’s insatiable need for perfectly manicured yards, sums up Squamish resident Meg Fellowes.